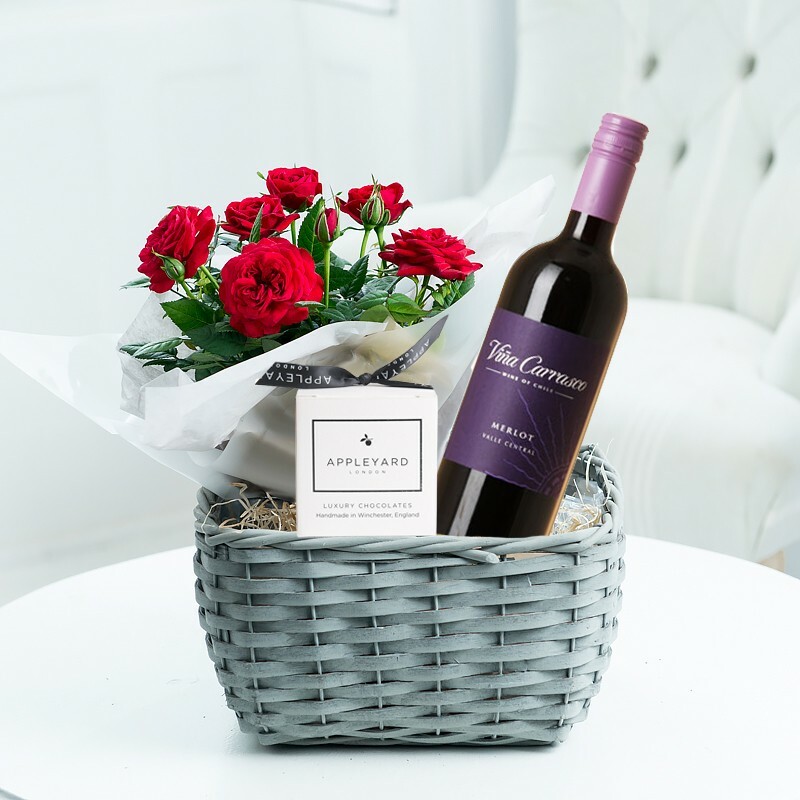 A tasteful gift hamper of a beautiful gift-wrapped white rose plant, box of luxury handmade chocolates and a bottle of Viña Carrasco Merlot red wine presented in a charming woven basket. Please see 'more info' tab for chocolate ingredient list. May contain nut traces. Ingredients: Milk chocolate (sugar, cocoa butter, milk solids, cocoa mass, emulsifier; soya lecithin, vanilla), Caramel (glucose, sweetened condensed milk, hydrogenated vegetable fat, coconut, flavourings, emulsifier E471), Salt. 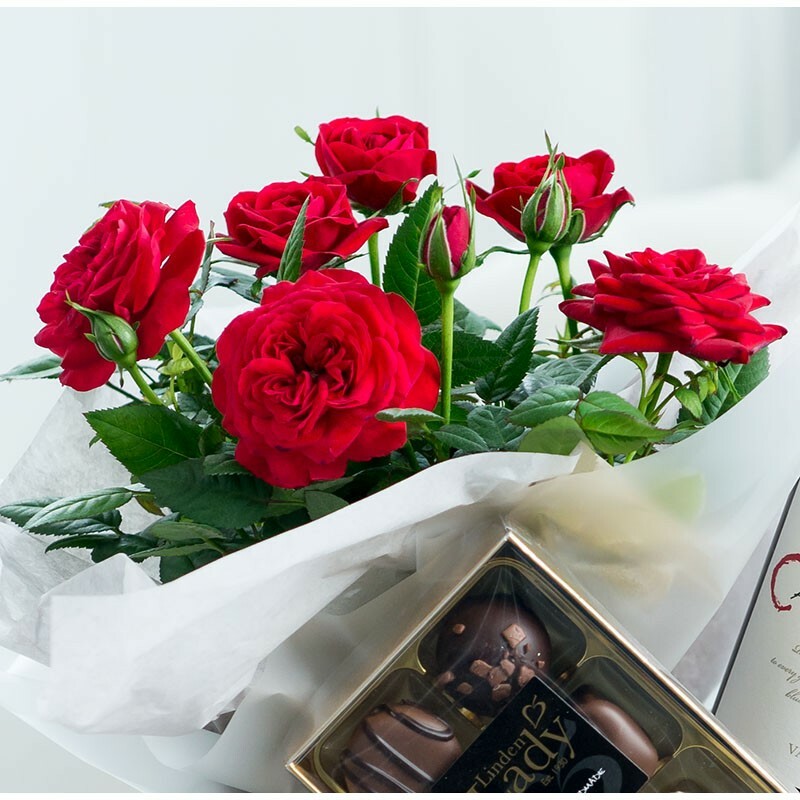 Nutritional Information: Typical values per 100g Energy 1680KJ/402kcal, Fat 15.4g of which saturates 9.5g, Carbohydrate 59.4g, of which sugars 57.7g, Protein 4.5g, Salt 0.9g.